The now well-established term "3D printing" is somewhat misleading, since the method with the classic print on paper has little in common. With the 3D printing process, a digital model of a physical object such as a CAD file to a "3D printer" produces. The production is done by material such as plastic or metal is applied in layers in 3 dimensions. Therefore it is also called additive manufacturing / Additive Manufacturing. 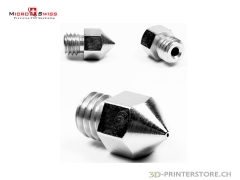 There are different technical method for the 3D printing as FDM (Fused Deposition Modeling. Applying molten resin), SLS (Selective laser sintering. 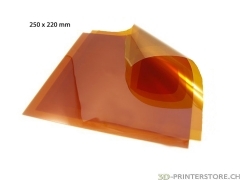 Fusing together plastic or metal powder with a laser), SLA (Stereolithographie. curing a resin for example with a laser). The 3D printing can be done either immediately on their own 3D printer at home or a service provider (such as Shapeways, Sculpteo, Ponoko, iMaterialise). The latter offer a wide selection of different materials and colors. However, here are delivery times of one to several weeks. 3D printing is perfect for fast and local manufacturing of customized objects. Create a personalized object costs the same regardless of the geometry or complexity. It must be made no tools or molds. Another major advantage is that a digital object anywhere in the world can be produced on demand. It must be shipped to a place only the digital file of the object, where a 3D printer to the desired material is available. 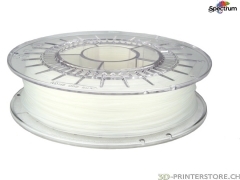 3D printing - where to go? When it comes to the British weekly "The Economist", 3D printers will introduce a "third industrial revolution". About so-called social Manufacturing Services anyone can offer the performance of his 3D printer and thus become their own entrepreneurs. Marketplaces like Etsy already now show that many consumers appreciate handmade products and this also would pay a little more. The Startup 100kGarages.com has set itself the goal of owners of 3D printers (so-called Fabber) to provide a platform, which can provide about each his work performance. Also, the site 3D hubs follows the same objective. Finding the nearest provider of 3D printing services. Such "garage company" could, as the Economist noted "bring back some jobs in emerging countries," and initiate the end of mass production.